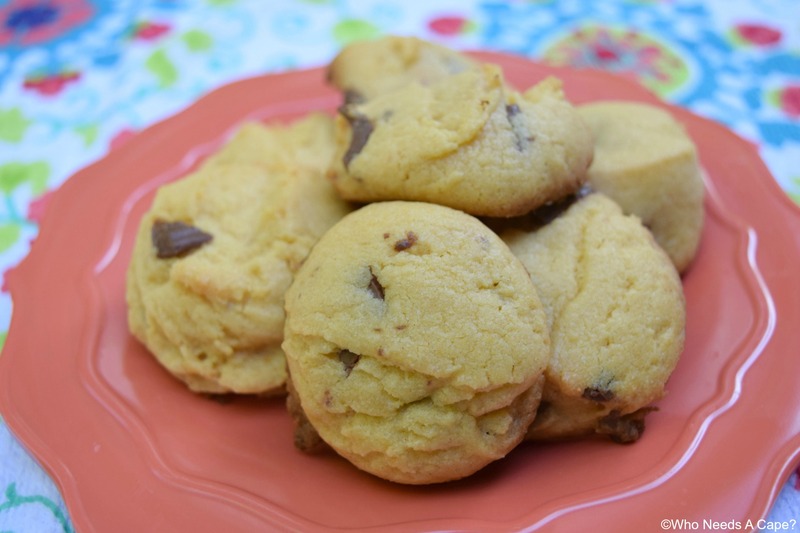 Peanut Butter Cup Cake Mix Cookies - Who Needs A Cape? This post was sponsored by a2 Milk® as part of an Influencer Activation for Influence Central. I received complimentary products to facilitate my review. 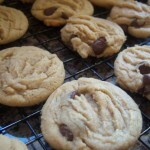 If you need a deliciously easy cookie look no further than Peanut Butter Cup Cake Mix Cookies! A snap to prepare with flavors you love. We ALL love Milk and Cookies right? Yup we do. But not all milk loves us right? 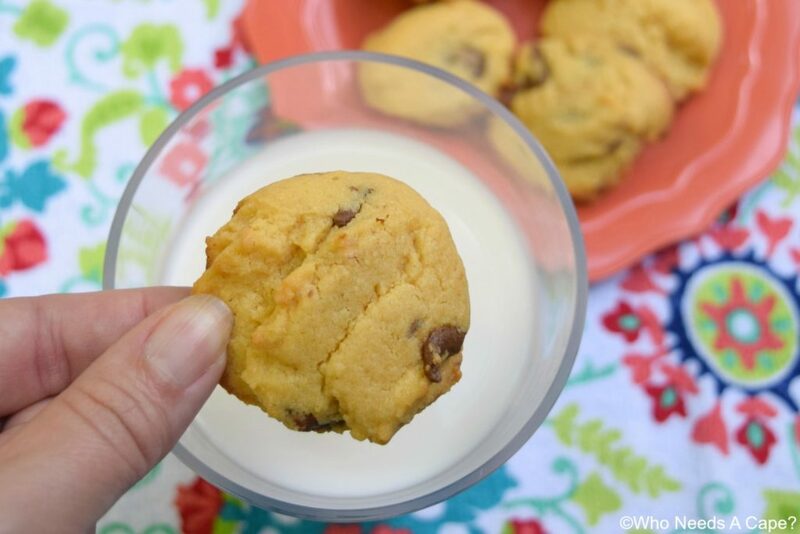 I’ve been doing some homework to make sure that everyone in my family is getting the best with no side effects of having milk and cookies as a yummy treat! Did you know that there is a protein in milk called A1 that is responsible for most people’s milks tummy troubles? I didn’t either but I do now! I just discovered the a2 Milk Company™. Yup you’re going to love it. a2 Milk® is real milk. You’re going to love it. I hear you asking how is it real milk without the A1 Protein. 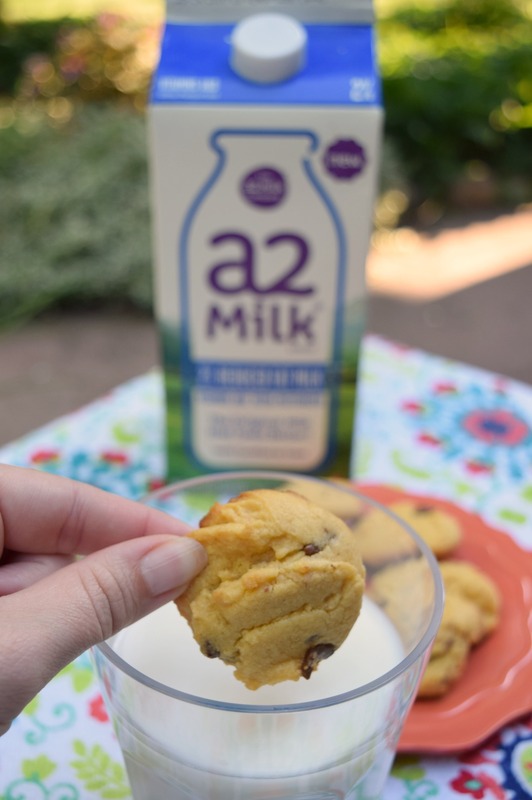 Well…a2 Milk® only comes from specially selected a2 cows, whose milk is naturally free of the A1 protein. Pretty awesome right? 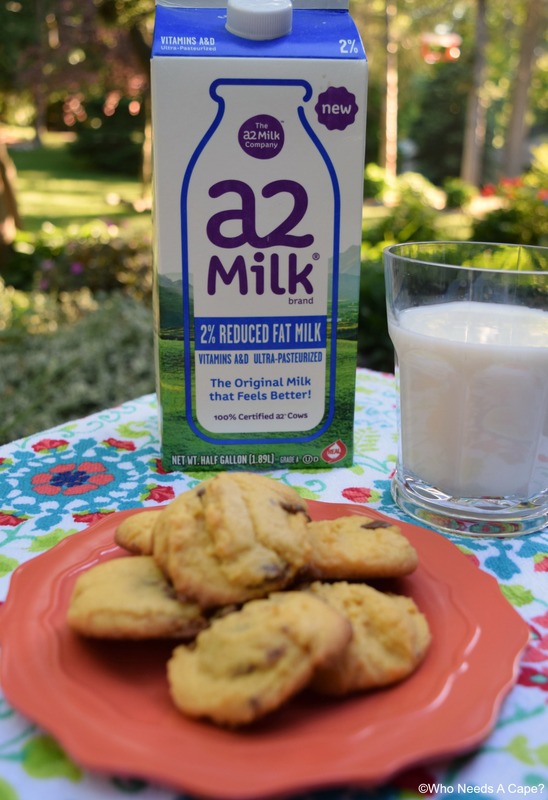 If you love milk and cookies like my family does – you’re going to be so happy to make the switch to a2 Milk®. So YEA! My family can now enjoy cookies and milk and have no issues – this makes everyone so happy in my house! My husband’s FAVORITE treat of all times is something with a bit of peanut butter and chocolate and a big glass of cold milk to go with it! He can’t get enough! 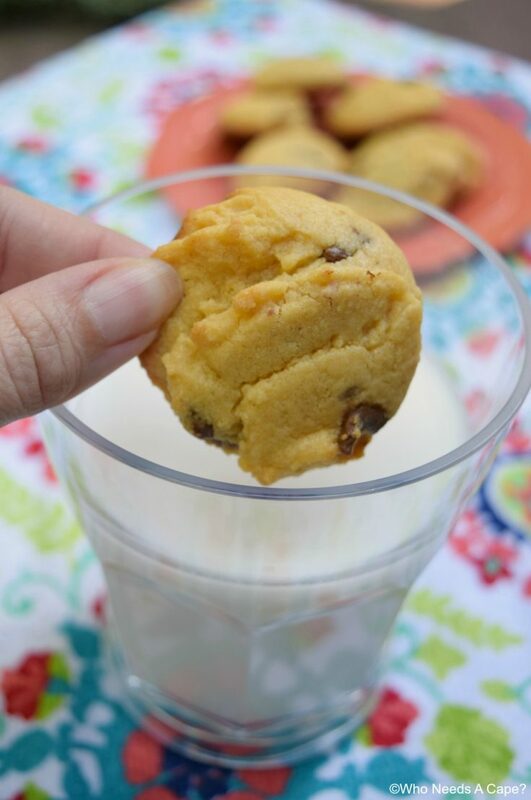 Now that we have a2 Milk® he can drink as many glasses with his Peanut Butter Cup Cake Mix Cookies! He’s a happy husband and I have happy kids. AND…I’m a happy mom. a2 Milk® is really fantastic milk. a2 Milk® contains approximately 6x the amount of calcium as soy beverages (which is a LOT of calcium), approximately 8x the protein of almond beverages and approximately 6x the potassium levels of rice beverages. All of these pluses for a2 Milk® keep adding up. 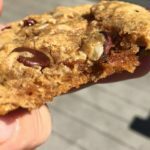 Even while I’m feeding them the comfort food treat of cookies and milk – I know I am furnishing the whole family with so many health benefits. This takes our nightly dessert right on up there for me – makes me feel so good about what I’m feeding them to eat and drink! Make sure to check out a2 Milk® website to get more information! You can also look HERE to find a store near you that carries a2 Milk®. a2 Milk® is also on Facebook and Twitter – be sure to follow! 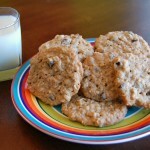 AND…Try these cookies you’re going to LOVE LOVE LOVE them! Mix together cake mix, creamy peanut butter, vegetable oil, and eggs until combined. Stir in mini peanut butter cups. Refrigerate mixture one hour until completely chilled. Preheat oven to 350° degrees. Place dough on non-stick cookie sheet, 2" apart. I used a small scoop. Bake approximately 10 minutes (depending on the size of the cookies). Remove from oven and allow to cool on wire rack. Mini peanut butter cups! 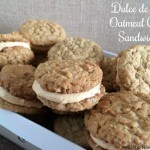 Love ’em This recipe is one that I will be making sometime soon 🙂 Hey come by Ducks ‘n a Row tonight after 7pm ET to share this yummy recipe at my party? Hope to see you there!